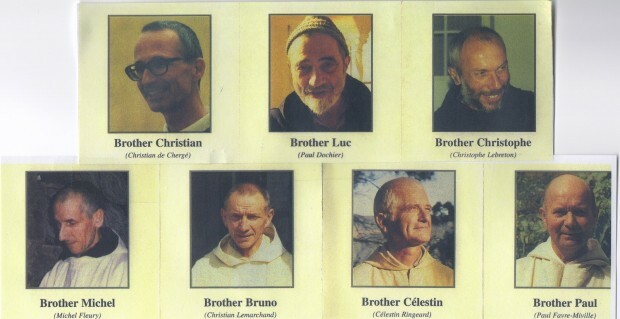 (Reuters) – The families of seven French Trappist monks killed in Algeria during Islamist-linked violence in 1996 accused Algiers of obstructionism on Thursday in refusing to send samples of their remains to Paris where they could be further tested. The monks were exhumed last week from the Tibehirine monastery, 80 km (50 miles) south of Algiers, and tests conducted on their skulls, their only body parts ever recovered. Patrick Baudouin, a lawyer for the family members, said the lack of samples thwarted an ongoing French investigation dating from 2004 that is trying to ascertain what happened 18 years ago. Preliminary tests conducted in Algeria provided “extremely significant advances” on how the monks were executed, suggesting they may have been decapitated after death, Baudouin said at a press conference. “Massacres and the killing of civilians” — that is Islam all right. I wasn’t following the Algerian civil war at the time, but it seems like Islamic State is replaying it for us now in Syria and Iraq. It never changes.